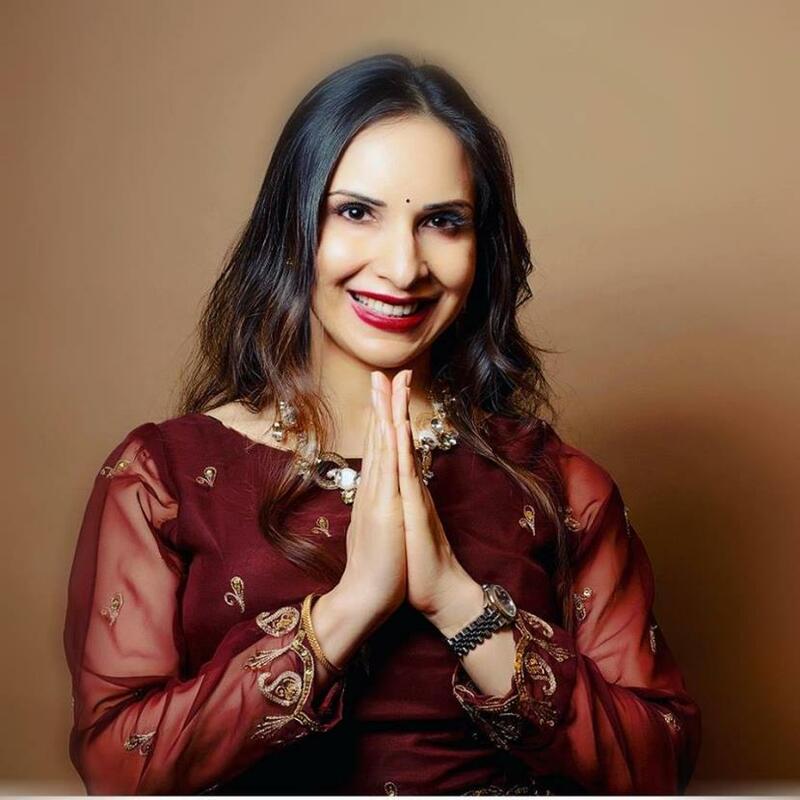 Originally from Jammu & Kashmir, ShailjaTiku, who has been crowned Mrs Wisconsin International 2019, is an epitome of ‘beauty with purpose'. Already donning many hats, that include currently being a doctoral student in public health, and an MD while also fulfilling her role as a wife, mother, and daughter, Shailja did not only participate in the pageant, her first, but also won the crown. She was born to a Kashmiri Hindu (Pandit) family in Gandhi Nagar, Jammu. She did her schooling from Presentation Convent Srinagar for a few years and then from MHAC Nagbani, Jammu. For her MBBS, she went to GMC Jammu, where her dad (now retired) also served as a professor and head of the department. For further studies, she came to the US. She has an MD, a master’s degree in public health (from United States) and is currently pursuing a doctorate in public health to expand her research skills, at the University of Wisconsin in Milwaukee, United States. On the personal front, she's married to Amit Aneja, who is a physician, and they have an 8-year-old son, Arin. In a candid conversation with Jammu Links News, Shailja talks about her journey, her take on mental health, “beauty’' and lots more. 1. Congratulations on winning the Mrs Wisconsin International 2019. What was the driving force behind the decision to contest for this pageant? ShailjaTiku: Thank you so much! I come from a very academic background, and already have a lot on my plate with my work, very intense schooling, all while raising a young family. So, for me to participate in a pageant, there had to be a very good reason. I am proud to be a part of the international pageant family because the pageant showcases and you know, celebrates the accomplishments of married women, with the potential of serving as community role models, unlike some beauty pageants that may be solely or primarily focused on physical attributes. International pageant system is a platform-based global pageant and each contestant must champion a social issue that is important to her. Honestly speaking if it was just about physical attributes, that to me would be very superficial. I am very fortunate to be a part of the international pageant family. My personal platform as Mrs. Wisconsin International has been to fight stigmas associated with mental health illnesses and create awareness about and promote mental health. I strongly believe that health is not just the absence of physical symptoms but is a state of complete physical, mental, emotional, social, and spiritual well-being. In addition, as a mother this is a personal motivator to me to create a better world for my son, Arin, to grow up in. Two, it was about stepping into my passion, outside of what other people wanted me to do and was totally outside my comfort zone since I have had no prior experience at all and pageantry is very different from what I have been doing all my life, in terms of my profession. But, you know, I believe that growth happens only when you push yourself outside your comfort zone! If you don’t, you will not experience growth. You will stay right where you are at! Plus, not everyone gets a second chance, and it is upon us to do the best we can in this one life of ours. So, I just went ahead to avail this incredible opportunity, and one thing led to another and here I am. I am very grateful to the international pageant judging committee for believing in me and providing me this opportunity to serve my community. 2. For someone, who is not familiar with Mrs Wisconsin International pageant system, will you tell us about it? ShailjaTiku: As I said before, Mrs. International is a global pageant system that showcases the accomplishments of married women with the potential of serving as community role models. The pageant has a global reach and each contestant must champion a social issue that is important to her. There are three judging criteria, namely, interview which is 50 % of your score and that’s awesome, fitness wear, 25% and evening gown, another 25%. So, the interview makes up for the 50% of your overall score and I absolutely love that part! 3. Being a Non-Resident Indian (NRI), did you face some sort of problems; or rather you had an advantage over other contestants? ShailjaTiku: I've been living in the US for almost 15 years now, my son was born in Wisconsin. US is our home. We are fortunate to have two homes, in India and the US. I wouldn’t say that I had any advantages or disadvantages due to my country of origin. But yes, living away from your family and friends isn’t easy. I've had a very protective and sheltered childhood and have always been daddy’s little girl and now I am on my own doing all the stuff while raising a family, it is a little hard! As far as the pageant is concerned, I have received an enormous amount of love, support, and encouragement from my state of Wisconsin, and my family and friends back home, and I am extremely grateful for that. 4. The crowning ceremony is not the end of one's journey. Post-pageant, what has life been like for you? ShailjaTiku: It is very different experience for me. As I said I had absolutely no experience in pageantry, like zero experience. Also, as a researcher and a health practitioner, you know, my training and skills are not congruent with pageantry. But I have learned SO much, it’s been a learning curve and I feel I have truly experienced growth and expanded my horizons. As I said, I believe that growth happens only when you push yourself outside your comfort zone and that’s exactly what I am doing. I have learnt skills that I literally knew nothing about, such as marketing (marketing myself)..laughs, Public Relations, social media, even hashtags and what they mean (laughs) and much, much more. I feel I have truly grown in just these past few months. I am very excited about the nationals in July 2019 where I will be competing (as much as I don’t like using the word ‘competing’) with amazing women from around the United States and the world. Being a title holder, is an honor and privilege which comes with its own set of responsibilities. And I take it very seriously. It is very rewarding when people tell you that you have touched their lives in a meaningful way. For instance, I shared this video on my Facebook page where I encourage people to face their fears and talk about my own struggles with anxiety. People reached out to me saying that the message resonated so well with them and helped them overcome some of their fears. And that almost brought me to tears! It was very heartening. 5. From what we can gather, you have a very busy life. How are you striking a balance between pageant related stuff, your family, and your doctorate? ShailjaTiku: Striking a balance is yet another challenge for me. I'm still figuring that one out (laughs). I try to take my son with me wherever I can, like my school or some event, so that I get to spend more time with him. We, as a family, go on vacations, so we can spend some quality time together. Getting a doctorate in and of itself is a lot of work. Period. Add to it being a mom, wife, and a state title holder (laughs) means you really have a lot on your plate. I try to do the best I can. 6. "My son is my greatest cheerleader", why do you say that? How supportive your family and in-laws have been in your journey? ShailjaTiku: My son, who's just 8-years-old, is adorable. He has been super supportive of me, you know, even helping me pick what dress(es) to wear for events. He helps me make 'to-do lists’, also reminding me ‘mom you've got to do this or that’ when I am slacking. He is rooting for his mom! I am so blessed to have him! My parents are the best parents a girl could ask for. They have always been very caring and protective.They were here in the US, visiting me, when I was crowned and I know for sure, they were very happy to see me happy. They have always been there every step of my way and so has been my husband. I couldn’t have done it without the love and support of my family. 7. Your platform is 'Mental Health Promotion', which complements your subject 'Public Health'. How does the pageant help you with your cause? ShailjaTiku: I believe that Mrs. Wisconsin international is giving me the platform to reach out to more people and to assure people living with mental health illnesses that they are not alone. Preventive medicine and public health, which of course includes mental health, is my in- depth training and passion, so it’s really aligned with my platform. 8. Being a beauty pageant winner, what are your thoughts on 'beauty', and especially, the stereotypes associated with them? ShailjaTiku: I will use the word “beauty” with caution. For me, beauty is much more than physical attributes, because physical attributes do not last forever. Also, I believe the word “beauty” is very subjective, there is no objective definition or “gold standard” of “beauty”. For example, what may be deemed “attractive” in one culture may not be deemed “attractive” in another culture, same for individual perceptions. So, the concept of “physical beauty” is very superfluous to me. What is important and what lasts forever is the inner beauty, goodness of your heart, your integrity, impact, and character. To me, that’s real beauty! As far as beauty stereotypes are concerned, I think when I was growing up the biggest stereotype in India was light skin being considered beautiful. I really hope that has changed and that people’s attitudes have evolved. As a light skinned women in India, I myself had this “unearned privilege” by virtue of my skin color. Privilege, I would say, is when you don’t think about it, you are privileged. So, I never had to think about my skin color in that sense it is an unearned privilege. I did not do anything to get light skin, I was just born with it. Such stereotypes, in a way, are dissuading young girls from embracing themselves and loving themselves for who they are and that is extremely sad. We have to teach young girls to love themselves for who they and reiterate that they are enough just the way they are. Because that is the truth! By setting those “standards” and I think media plays a big role in it, we are inadvertently creating issues of body dissatisfaction and low self-esteem for young women. Same for weight, body shaming women who may not match “set standards”. That’s just awful. And then those fairness cream ads in India! Why? Every person is unique, and their uniqueness is what makes them beautiful, so then why should they be compared with some other person in any way? 9. You'll be vying for the Mrs International title in 2019. What are your other plans? ShailjaTiku: I am very excited about the nationals and about getting to meet amazing women not only from the U.S but also around the world. I am positive it will be a great experience! 10. With the State title win, have the expectations of people around you increased? Does that make you feel under pressure? ShailjaTiku: People are definitely rooting for me! I am so grateful for all the love and support I received! Nevertheless, I am not anxious, nor do I feel there is any pressure on me! I'll do the best as I can! 11. You are making India and Indians proud. How does that feel? ShailjaTiku: Awww, thank you very much! That is such a huge compliment and such an honor!! I have a special mention for the people of my hometown, Jammu, for their immense love and support. I love you guys! Through this platform, I would also like to ask young girls to love themselves, and to focus on their education and do what is best for them. And always remember this, Someone’s opinion of you does not determine your worth! You're worthy in every way. In a nutshell, ShailjaTiku, with her intellectual prowess and personality, is set to conquer hearts.